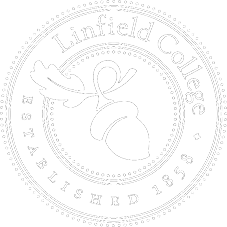 Your career journey after Linfield College will be unlike anyone else’s, so view the bumps as opportunities not roadblocks. That’s some of the advice that Tia (Stutzman) Over ’01 and Emily (Ohlsen) Pappas ’04 of The Mathews Group have for Linfield students and alumni. “The thing I appreciate most when I think back to my time in class with great faculty or with peers is that you’re really challenged to cultivate a strong point of view,” Over said. Over and Pappas now work for The Mathews Group, a communication firm that allows them the flexibility to continue their careers and be active parents and spouses. The Mathews Group is a “virtual agency” with partners spread across the United States. 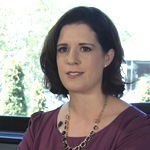 Over heads up the firm’s Seattle presence and serves as vice president and chief strategy officer. Pappas works out of the Portland area as a senior communications counselor. Other firm partners are in Washington, D.C.; Shreveport, La. ; Louisville, Ky.; and Atlanta, Ga. Hear more “Lessons from Alumni” from Over and Pappas in this video.